For businesses with corporate embroidery needs, Katya Embroidery provides embroidered workwear and merchandise. 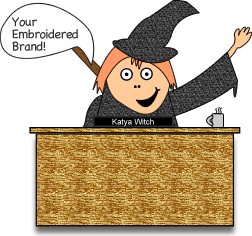 Get a quote for your corporate embroidery from Katya Embroidery. Corporate Embroidery provides a more professional and longer lasting impression with customers than printed workwear. It also makes great merchandise that will show off your brand for years to come. Embroidery doesn't crack and fade with time like printed workwear and is machine washable so if you're working at your desk, in the kitchen, on the farm or out at sea, your embroidered brand will shine through in every environment. You may be interested in our garment catalogue.